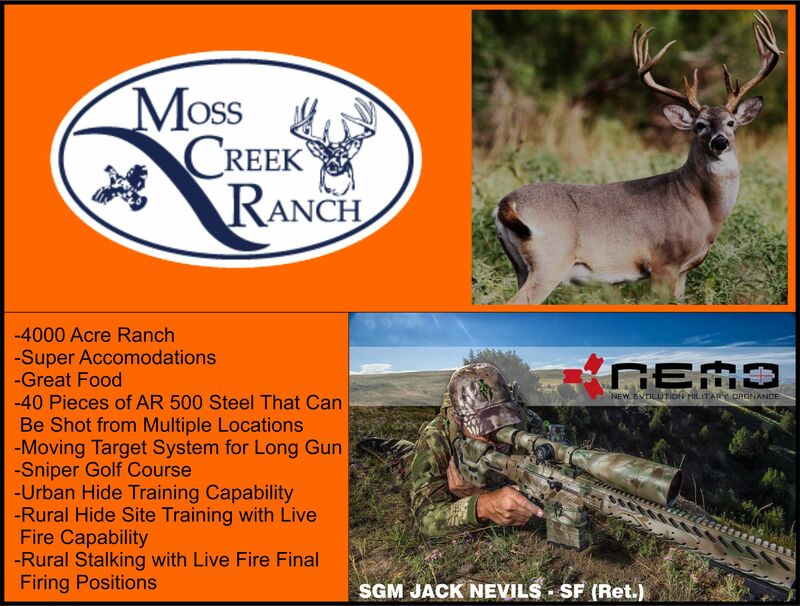 If you have a group of 6-8 Hunters and/or Sport Shooters who would like to take their long range shooting skills to the next level, this is the course for you. Contact Us today to schedule your World Class Training experience. *This course Is Not a law enforcement related course. Price: $3,000.00/person This includes room at the ranch and three meals per day. Prerequisite: Attendee must have the ability to consistently shoot 2 MOA (2 inch) 5-shot groups at 100 yrds. Contact Us today to schedule your World Class Training experience. This information is further used by inputting it into ballistic software that accounts for atmospheric conditions which affect the point of impact of the round. The course quickly progresses to the engagement of targets out to 1000 yards to train the hunter/shooter in the compensation for winds. Since most shots in the field rarely look like a nice flat range, participants are taught how to quickly develop improvised stable firing platforms.